The Aerotenna team is proud to announce the first ever successful UAV flight powered by ArduPilot on the Xilinx SoC Zynq processor. Aerotenna’s Zynq-based board runs the ArduPilot flight control software on a Linux operating system. This impressive feat marks a drastic improvement in UAV technology and capability. The dual ARM core within the Zynq System-on-Chip puts Aerotenna’s flight control solution far ahead in processing power and I/O capabilities compared to any other UAV solution of its class. 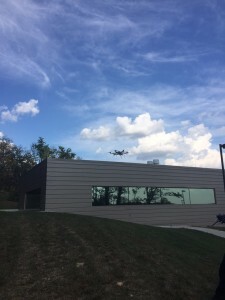 This will open the door to many new UAV applications that require greater computing power. The flight test was accomplished on the DJI F550 frame. 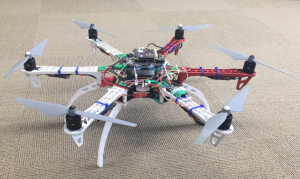 The Aerotenna team plans to test their Zynq-based flight controller on more airframes, and will soon release this platform as part of the OcPoC (Octagonal Pilot on Chip) project, announced to be open-sourced in early September.